"Quickly And Easily Outsmart Your Way To Six Figures Using These Powerful Black Hat Strategies!" Slap Search Engines In The Face And Grab Top Rankings, Now! Let's face it, web traffic is the lifeblood of our businesses and nobody in their right mind would ever dare contradict this. By now you have probably tried all of the latest methods of generating traffic, free and paid for. Time for a reality check here. How much better off is your online business now than it was a few months ago? Have you noticed a strange trend, watching your traffic dry up every month, requiring you to constantly go back to step one and start your marketing efforts all over? I think it may be time for you to learn the very grim truth about the "silent partner in your business" who's getting pretty fat on your back as you do all of the hard work - over and over again. The Search Engines are cheating you! You see, not content with the idea of making you pay good money in order to gain their "friendship" and have your ads featured on their networks, the powers behind "organic traffic" are on a mission to starve your business to death. Fortunately, there are many ways to outsmart the search engines at their own game using speed and stealth techniques, which are all covered in great detail in Black Hat SEO for Beginners. This little game of power has been going on behind the scenes for years now, and with every new change to these giants' terms of service, webmasters around the world are losing inches of their freedom, and profits. This silent robbing has already taken many succesfull businesses to the ground, and yours could be next on the list. Why is it that search engines are allowed to have so much power online? Because they get all the traffic, and whoever has traffic makes the rules in the world "wild west". They know that as long as people like us are happy with the crumbs, they can keep on changing the rules as they see fit and grow their wallets fat. And because the search engines have been unfairly given so much power over the last decade, it is now more important than ever that you learn how to apply new techniques to your marketing arsenal that will make your business stand out on its own and regain its authority. But It's For Your Own Good! Or Is It??? Of course, whenever such a change happens they will be quick to justify their decisions with claims such as improvement of the overall search experience for users. Of course these are only half-truths and window-dressing to detract from their real motives; Growing their profits and influence over website owners. It seems that they have forgotten that long ago, without the efforts and hard work of these unkown webmasters, there would be absolutely nothing for them to capitalize on. Now they're in control, and secretly manipulating the "user's experience" to steal money from you and force you into dropping all of your profits back into the search engine machine by using their "targeted keyword advertising services" or "premium listings". Honestly, how it that supposedly helping enhance the "user experience" ? It is time for online business owners to start following their own rules, and tilt the game back to our advantage, and it can easily be done by implementing a handful of black hat techniques and search engines optimization secrets that Google and the likes do not want you to know about. Not because these methods are unethical or illegal, but because they are so powerful they could easily give them the death blow they deserve for cheating on millions of honest webmasters over the years. Search engines make the rules and have the power to send your business off circuit with the click of a button. Of course they're not happy with anyone circumventing their rules and sharing part of their profits and this is why it is so crucial that you learn how to protect yourself and your income from their prying hands first. Remember, there is absolutely nothing illegal or even unethical about this. The search engines have been artificially playing with the rules of traffic generation for years, and it's time that webmasters develop a new approach and start leveling the fields, making the internet profitable again for the small guys. I have spent months researching the best way to fly under the search engines' radar, and spying on people who'd been using these strategies for years. There was absolutely no way I'd jump into this unprepared, and risk getting hit by another Google slap. And Search Engines Know It Only Too Well. Slowly, I've been able to uncover bits of information that all kept adding up. Even though I had an advantage over the search engines, being a real human sitting behind a computer rather than a specific program designed to spider websites, it was still hard to pin-point and track succesfull black hat website owners. Not because they are few, but mainly because those guys have taken stealth and made it into a science. Once I finally got around to it, I was ready to tackle the "Big G" and friends. Floods of free traffic that soon began to bring me more money that I ever had back in the time when I was dumping my paychecks into paid traffic. If you have thousands of dollars to waste on traffic this year, and are willing to accept that the search engines are constantly cheating on you as part of your "business model", then please ignore this information and get back to work on your traffic generation. If, on the other hand, you enjoy the idea of getting swarms of traffic to your websites effortlessly and reclaim full control over the way you run your online business, then I urge you to keep on reading. It's Time To Claim Your Profits Back! As I mentioned earlier, implementing black hat marketing techniques to circumvent the restrictive rules that search engines love to put in place in order to steal your profits from you has nothing unethical or illegal to it. As a business owner, you owe it to yourself to see to your interests first. Believe me, the search engines have been doing it for years. 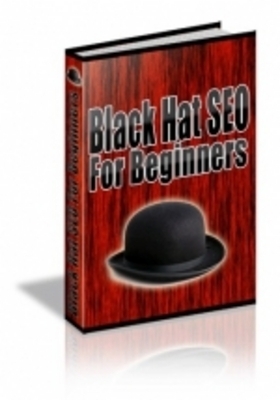 Black Hat SEO For Beginners will introduce you to the most powerful black hat traffic generation techniques around the internet today. It will guide you through the complete step-by-step process you need to bullet-proof your business from the search engines' silent "one click" business killer and fly under the radar of your competitors. It will also cover the different ways you can use black hat to automate your results and watch your business grow faster than ever before by leveraging the secrets of duplication. This book contains all of this information, and more, conveniently arranged into chapters. I have even made sure to include links to all of the tools and resources you will need to follow the methods outlined in this book. Gain Better Understanding Of The Games Search Engines Play With Website Owners! Set Up Your Own "Black-Hat" Traffic Funnel That Will Flood Your Websites With Free Visitors Every Month, With Little Or No Effort! Enjoy Full Advantage From Your Keywords And Keyword Selection! Keep Your Website And Business Safe From Prying Hands! Optimize Your Pages For Better Search Engine Ranking! Quickly Generate Hundreds Of Backlinks To Your Sites! It Doesn't Matter How "Green" You Are, These Step-by-Step Methods Will Work For You!